A local journalist, also speaking anonymously, confirmed his account. “The soldiers mistook them for Boko Haram fighters. 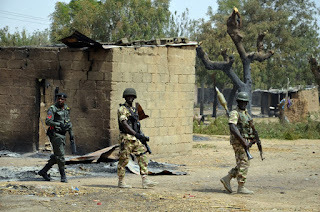 The army has been on edge after the last two attacks in this area,” he said. Civil and military authorities in Diffa were not immediately reachable for comment. The regional official said the civilians had been returning to their village in the Abadam area — which they had fled due to Boko Haram violence — in order to tend to their fields.